Hey Cricut crafters – I’m tackling reader questions this week and several Cricut users have asked about selling products with licensed images from Design Space or cartridges. Unfortunately, you cannot sell a product with a licensed character – those are for personal use only. Why can’t you use a licensed image in your product? I urge you to take the time at least once to read Cricut’s Angel Policy in full at this link. It lays out several other specifics for what you can and can’t do with their images. It’s just that simple – don’t sell products with licensed characters on them – even if you’ve purchased them through Cricut’s Design Space. Read more on copyrights and trademarks, a frequent topic here on Cutting for Business. Can You Legally Make & Sell Harry Potter Products? Can You Make and Sell Handmade Disney Products? I had a question about licensed images… As in the photo above, I can see Merida and I believe the alligator is Lewis from the Princess and the Frog ( and I know these are both Disney) but the crowns/tiaras and hairbrush and comb… how do I know if that’s a licensed image? I know about checking TESS (Trademark Electronic Search System) for my state, but I’ve noticed there are no pictures so how am I to know if I’m going to be in trouble for using that crown or this brush? When you are looking in the store, click the “info” button. You’ll see that the crowns, tiaras, and combs are trademarked to Disney – so you’d need to make them personal use only. Hope that helps! I’m sure a lot of crafters agree. I highly doubt you will ever see these permissions granted to crafters for commercial use. Hi Christine, first of all I want to say.. I love love your blog 😊. What about a statement like this (Which I see a lot on Etsy)? All copyrights and trademarks of the character images used belong to their respective owners and are not being sold. This item is not a licensed product and I do not claim ownership over the characters I used in my designs. This listing is for the time and effort used to create and personalized you item. Do I have to purchase something for the ability to use cricut’s designs? I did not see anything about purchasing the ability on the angel policy. You’d check the licensing for the design. I just read the complete Angel Policy and I was a little confused. Does the policy only apply to the fonts and items in the Cricut design space? 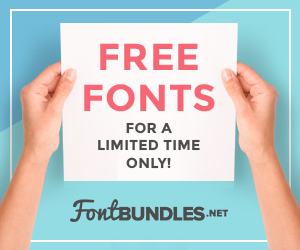 If I buy a font for commercial use elsewhere, will that count towards my 10,000 items? The Cricut Angel Policy only applies to Cricut items. I would like to know if you you create your own design on the cricut design space if you could claim and license that design since you created it?? If you create the design, it is yours. Every item or picture in the entire world is owned by someone… So my question would be, why would we be able to buy cartridges for Disney, at 29.00. Exactly what is that giving us rights to? To use the design for personal use only? The Angel Policy gives you the right to use Disney designs for personal use. You are paying for Cricut’s time to arrange the collection and turn them into cuttable files on your Cricut. You cannot sell items with these designs on it because Disney and Cricut have a licensing agreement – not you and Disney. Hope that clarifies! Glad I read this. Someone on YouTube said the angel policy allows you to make products and sell then with Disney images because you are included in the angel policy. This article helped me decide to not purchase the cricut at this time so thank you. Glad to have helped get you the correct answer. Totally new to this and am wondering how do you tell which images are licensed, and which aren’t when it come to the Cricut design studio? I would love to sell some of my creations but am not sure which images are “safe” to re-sell or not? I understand Disney images, etc, but where do you see that it is licensed or not? I just read over the Angel policy. So basically, as long as I’m not using/selling the licensed characters, I can sell my creations (physical products) that I use to make from Cricut Access. This is exciting. I already knew there was a fine line with the Disney Characters. Their licensing is too expensive I would never in my life expect sub-licensing to be allowed lol. But it’s very good to know that I can use some of the shapes from Cricut Access. I will be making cake toppers/ cupcake toppers to sell online and it would really help to have access to some good silhouette shapes. Hi Christine! I was reading through their angel policy and wondered if I would be allowed to sell greeting cards containing a cropped/trimmed version of their image (for example, a card containing only the head and front legs of an alligator, versus the entire alligator)? I’ve seen this done multiple times for personal use, but wasn’t sure if this would be okay if the item was for sale? I wondered if only pasting a portion of the image on the final card would be considered “altering”. Any thoughts? This would be a specific that you’d have to ask Cricut about. After asking them, keep a record of their response in your business files in case an issue ever arises. I can here hoping for some help. I CREATED an image in cricut. The stuff did NOT come cricut designs. I was hoping some could help me figure out how to take my image from cricut and turn it into an image for a logo. Like how do I get it off of cricut now?🤦🏼‍♀️ tia. Hello! The best you can do is take a screenshot, which likely won’t be a high enough resolution for a logo file. You cannot get the file out of Design Space otherwise. I’ve read the Angel Policy and your blog, thank you for this service! The one thing I didn’t see was an explanation of using LFL (basically Disney) images as gifts for charity. Our organization hands out small gifts like stickers to children in hospitals when we come to visit them. They are personal use only – not for profit or charity.